United States midfielder Weston McKennie suffered a ruptured ankle ligament in the friendly win over Ecuador, his club Schalke have confirmed. McKennie was stretchered off in the second half of Thursday's 1-0 win in Orlando, although he remained with the USA squad as they travelled to Houston to face Chile. However, Schalke announced on Monday that the 20-year-old was travelling back to Gelsenkirchen to begin rehabilitation after the extent of his injury was confirmed. 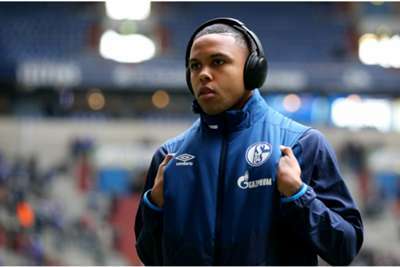 McKennie has made 19 Bundesliga appearances this season, playing a further six matches in the Champions League. @WMckennie has suffered a ruptured ankle ligament and is travelling home from the @USMNT to begin his rehabilitation in Gelsenkirchen. Gregg Berhalter's USA will also be without Tyler Adams against Chile as the RB Leipzig midfielder returned to his club following the Ecuador match. Goalkeeper Jesse Gonzalez also went back to FC Dallas.